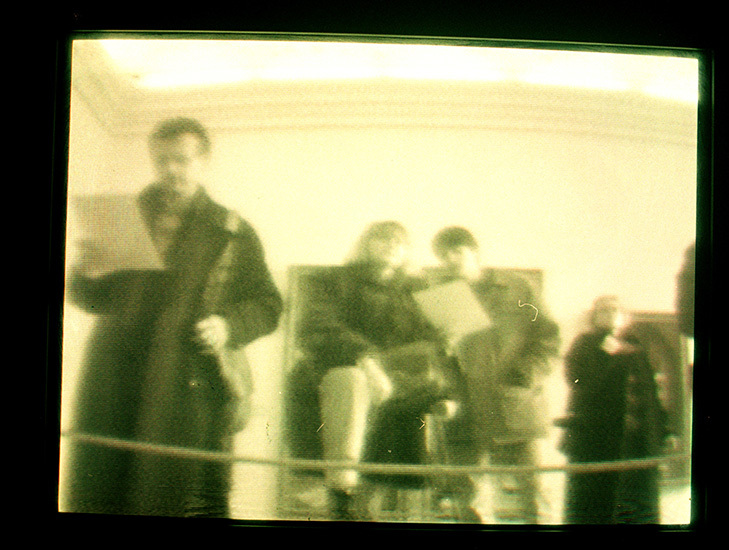 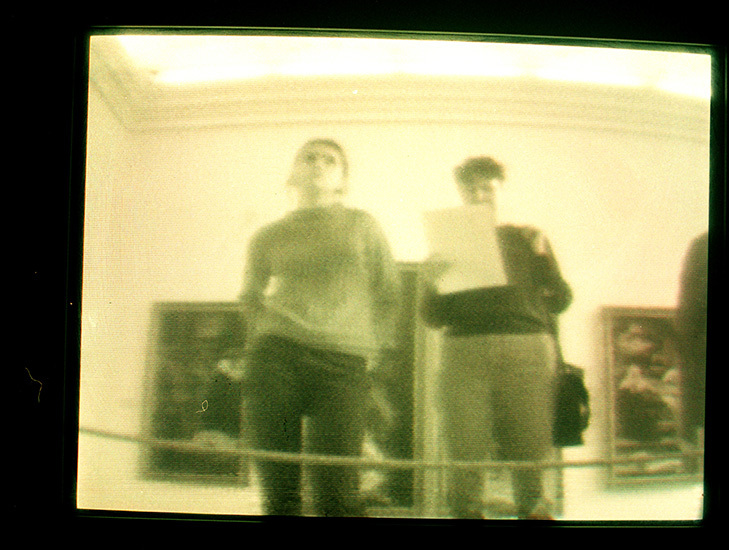 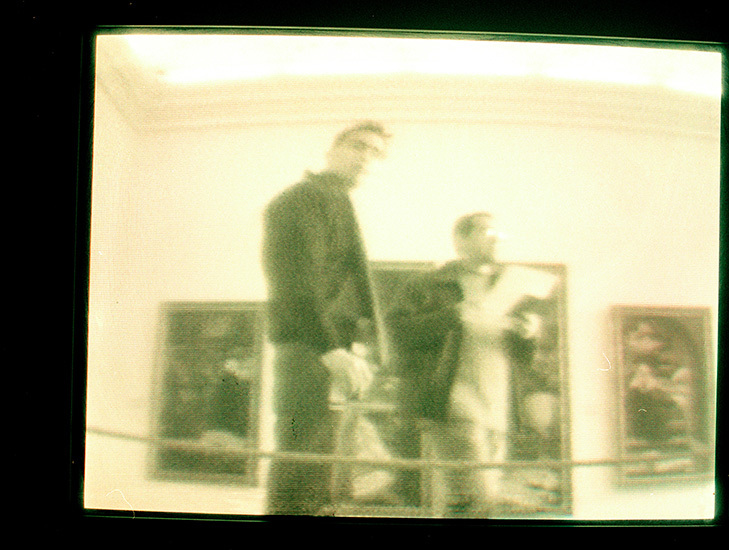 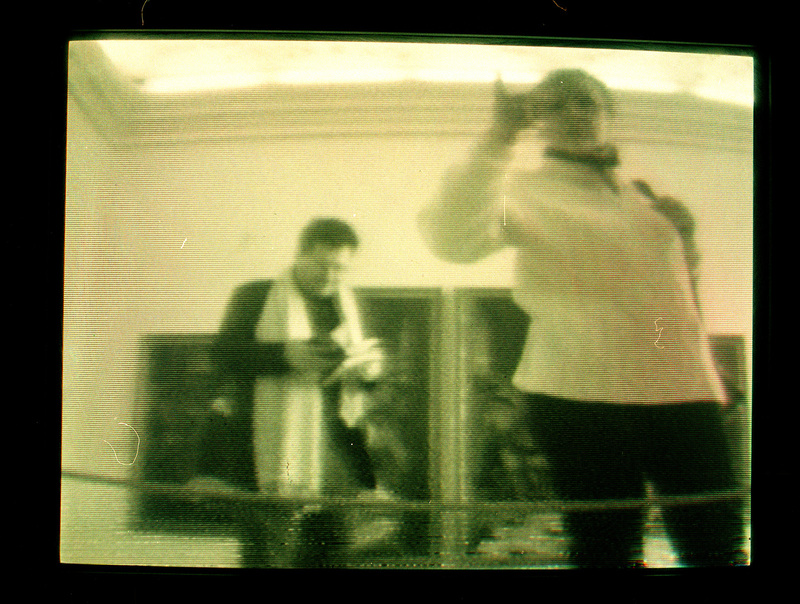 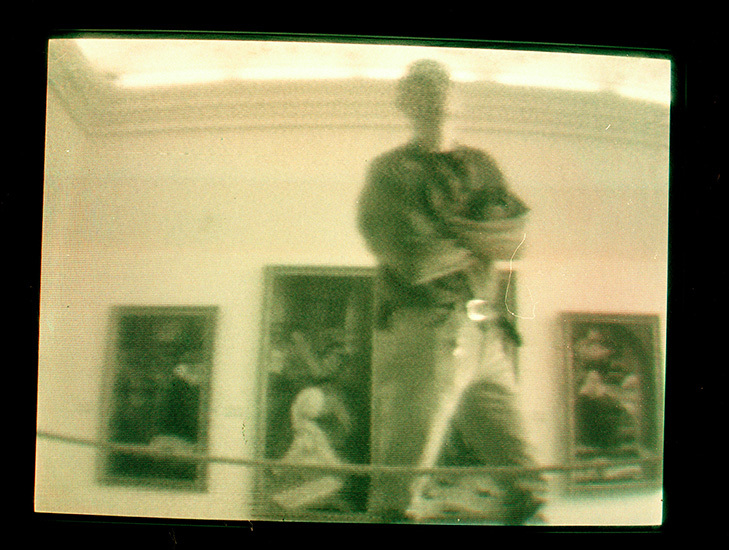 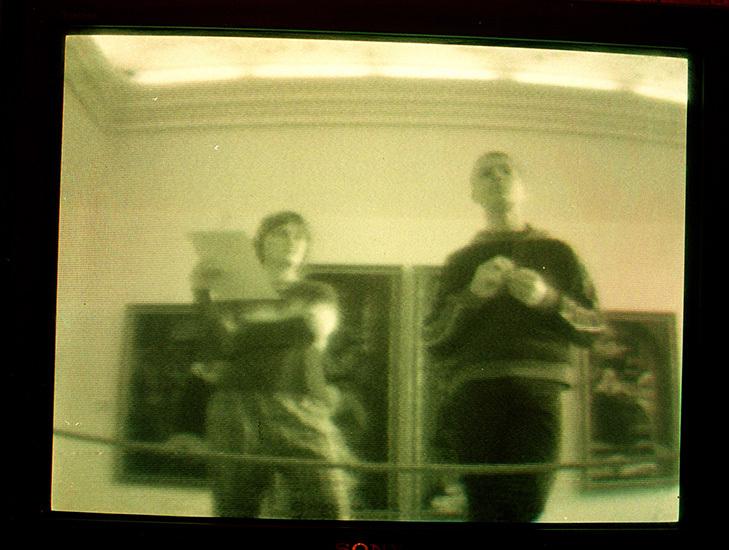 Below the original painting by Albrecht Dürer of the Rose Festival, at Prague’s Stemberk Palace (National Gallery), a small camera was placed that gave the impression of being part of a larger security system. 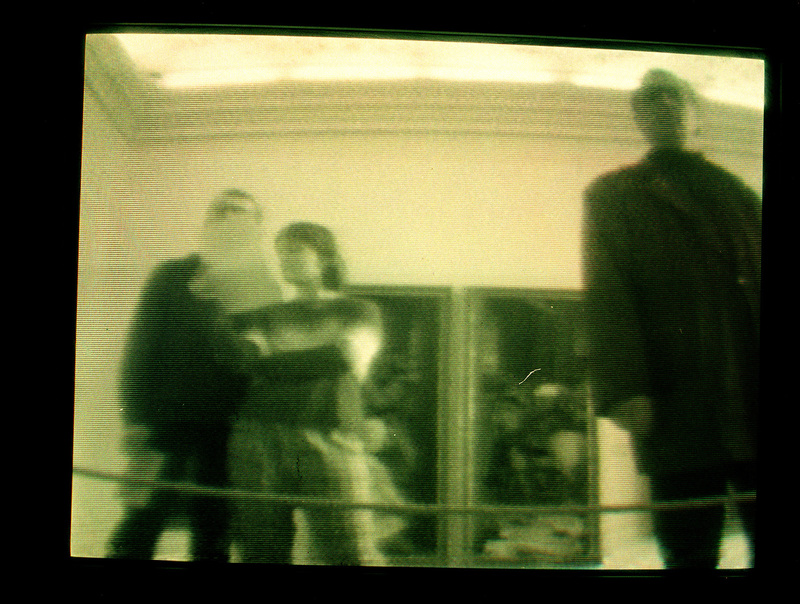 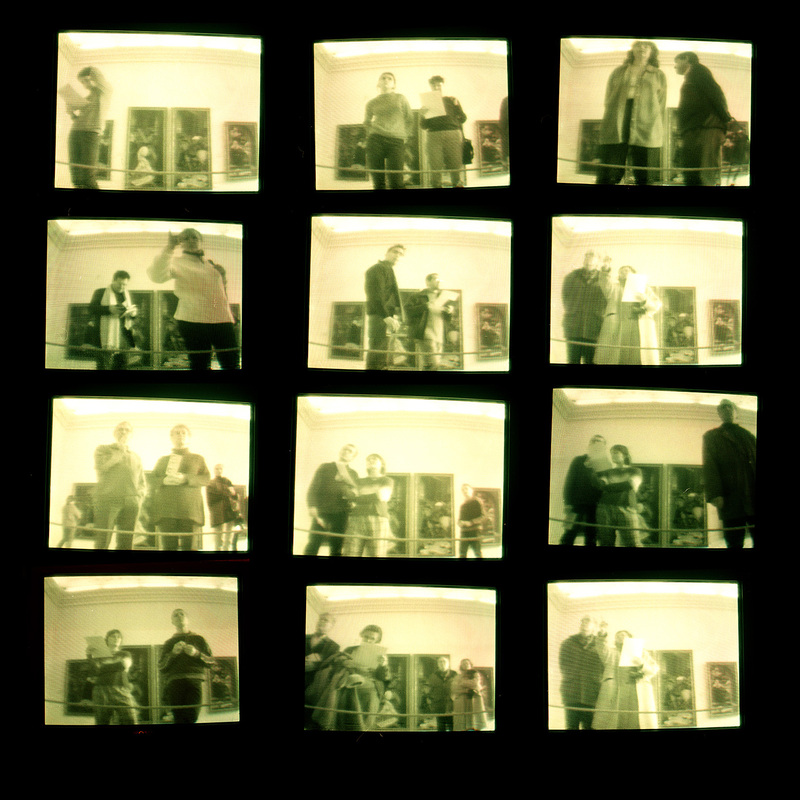 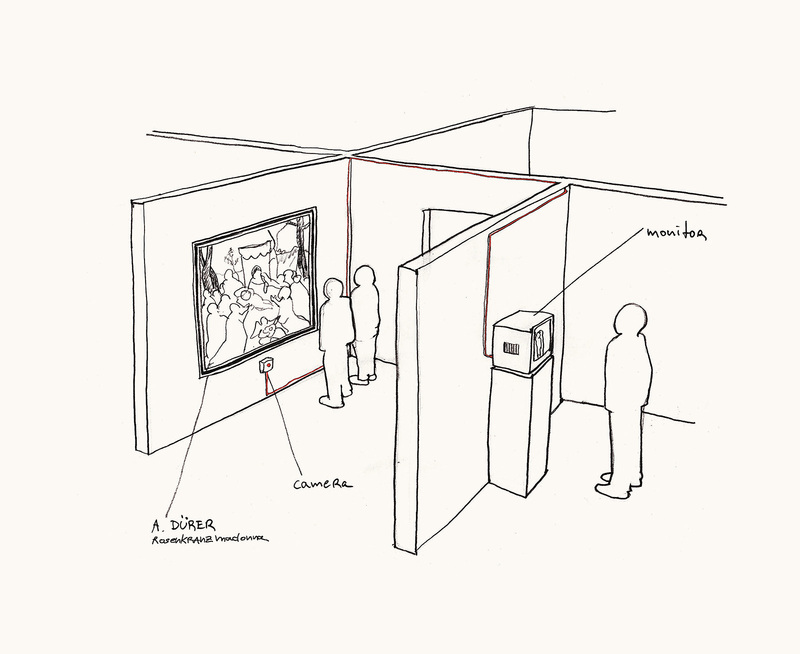 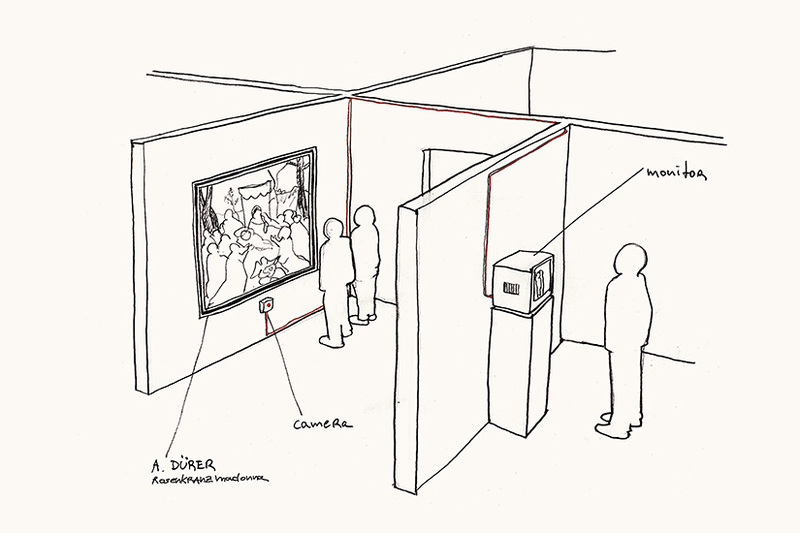 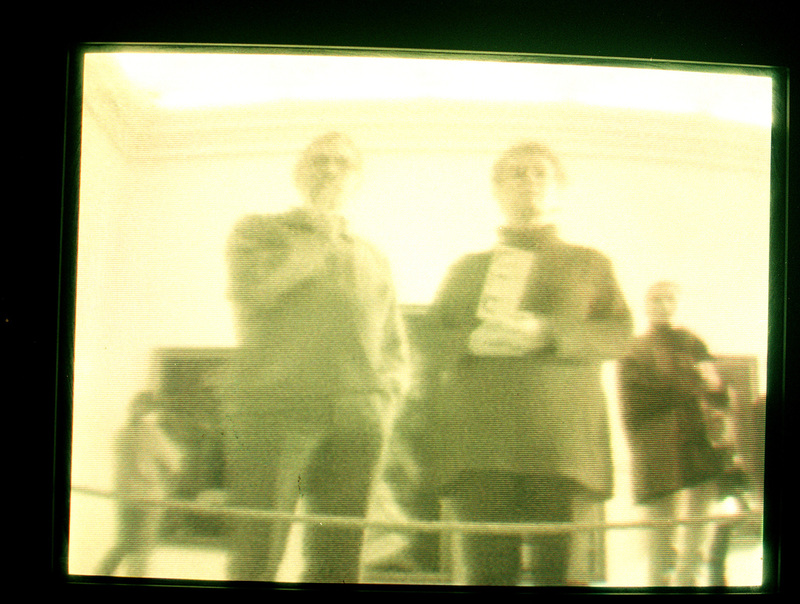 A monitor was set up in another room that presented the camera’s signal in real time. As such, it was possible to follow the behavior of other visitors as they looked at the painting, without them even knowing.